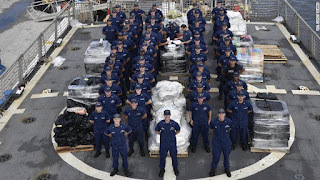 The U.S. Coast Guard cutter Campbell returned to her homeport in Kittery, Maine after an 80-day counter-narcotics patrol in the Caribbean and the Eastern Pacific. 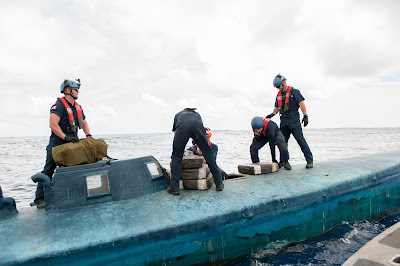 Campbell intercepted six smuggling boats, and seized about six tonnes of cocaine - worth more than $206 million. Two dozen were detained. Among other interdictions, the Campbell stopped a large, low profile go-fast boat on May 24. The Coast Guard says that it is seeing more semi-submersible boats and low profile go-fast boats.